In 2012, through the advocacy of Ellen Beasley and Historic Waxahachie, Inc., the City Council agreed to make a loan/grant to the Ellis County African American Hall of Fame to replace the roof. The loan/grant was to expire automatically in seven years if the building met all the requirements for compliance with building codes and was returned to public use, which conditions have been met. 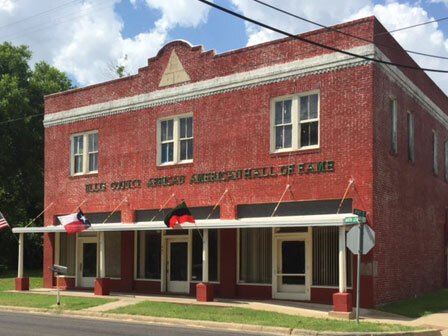 In October 2015, the building reopened as the Ellis County African American Hall of Fame, honoring notable locals and providing a venue for meetings, events and classes. The Hall of Fame was recognized by Preservation Texas at its 2017 Honor Awards Cermony and Reception in Waco, Texas on February 27, 2017. The Hall of Fame is located at 441 Dr. Martin Luther King Jr. Blvd. in Waxahachie. Please click on the link below for pictures and to get the complete story.